View reviews on Facebook here. I have been a student at The Dance Studio for over 25 years, and it has become like a second family to me. I am so happy to be able to share my love for dance with my daughter who has developed some great friendships of her own. 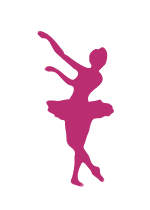 Judy Matassa (owner and teacher) personally invests a little bit of herself including; life experiences, insights, values, and love of dance into each student during the year. I appreciate her willingness to work with any age and ability, and strongly teaches her students to be kind and courteous to others around them. I also appreciate the level of excellence she holds in her teaching technique as she builds from one year to the next as the children advance, like the building blocks of dance. Mrs. Matassa and her assistants carry themselves in a professional and disciplined manner, but always take the time to make each child feel special. You are always excepted the way you are, but inspired to go beyond what is comfortable to be the best you can be! The Dance Studio is one of Lakeside's long-standing jewels. Owner & teacher, Judy Matassa has taught at this same location for 30 years. Unlike the here today, gone tomorrow "dance studios" you find today, The Dance Studio has stood the test of time and has a loyal following of dancers that includes students from ages 3 to 80 years old. My three girls have danced there for over 20 years and feel that the studio is a second home. They have learned not only to dance ballet, tap, jazz, pointe and adult exercize, but also to "dance with their hearts". In this traditional school, under Judy's teaching, they have learned discipline, kindness to others and to reach for their dreams. Judy teaches all her own classes and knows each child & adult by name, face and birthday! Personal attention to correct form is always taught with kindness and encouragement. Each student is Judy's favorite and a parent can feel at ease knowing that their child will have a qualified teacher and good friend.